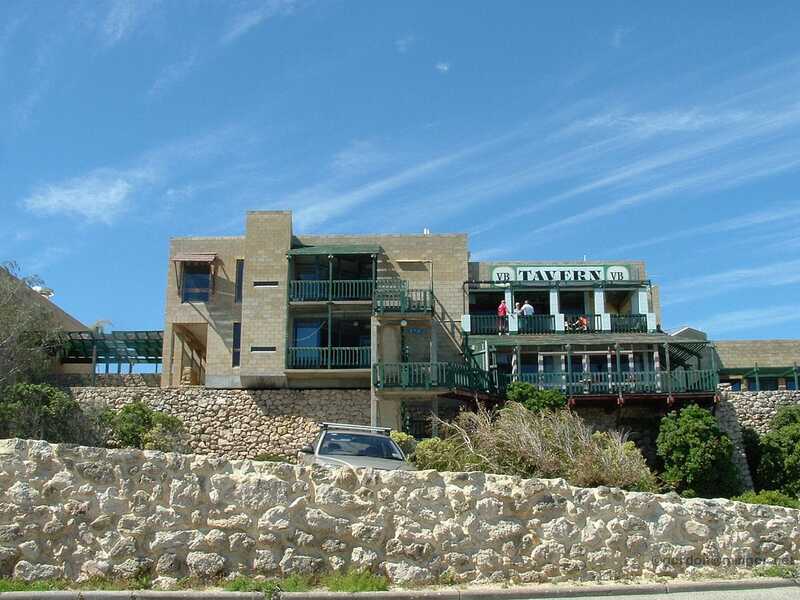 The local Two Rocks Tavern perched high on this hill over-looking the boat pens and the ocean. The bar, complete with beautiful beer garden, has a large range of local & imported beers on tap and in bottles, they also stock a range of Ciders, Spirits & non-alcoholic drinks. The Restaurant is open for Breakfast, Lunch & Dinner 7 days a week, the huge menu has a range of burgers, pastas, salads and other mains as well as snacks & finger food available. They have a range of accommodation styles from backpacker rooms to king-sized lakeview rooms complete with bath & spa jets. They specialise in weddings & events, having their own cave in which to host them! They can cater in a range of styles including cocktail, buffet & plated meals. Nightcruiser have been providing Wedding Guests Transport to and from the Yanchep Inn and the famous Cabaret Cave for some time now. 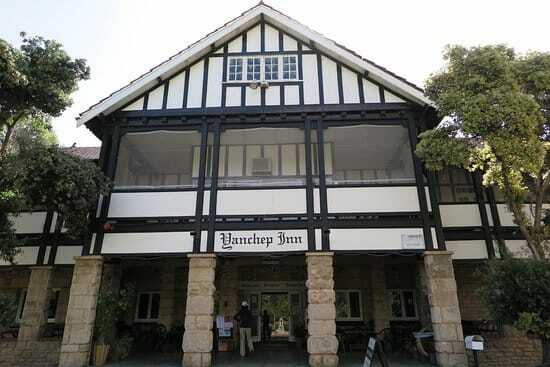 The beautiful historic Yanchep Inn situated in the spectacular grounds of Yanchep National Park in WA, is a unique and extraordinary venue for any conference, seminar, wedding reception, social function or special theme event. You can combine first class cuisine and service with the serene and tranquil surroundings of the park, just 45 minutes away from the Perth CBD of Western Australia. Whatever you are planning… cocktail party, special birthday/anniversary celebration or the grandest of balls, The Yanchep Inn gives you all the options and facilities to hold that ‘play and stay’ function in serene and tranquil surroundings. Spectacular Wedding Ceremonies in the picturesque Yanchep National Park. For a beautiful Wedding ceremony that captures the essence of your special day, look no further! The Magnificence of the enchanted Yanchep National Park, with its peaceful lake and abundant wildlife, provides an atmosphere of serene grandeur. Whether it’s a small intimate wedding or a more lavish occasion, experience the perfection in tranquil settings with breathtaking views. 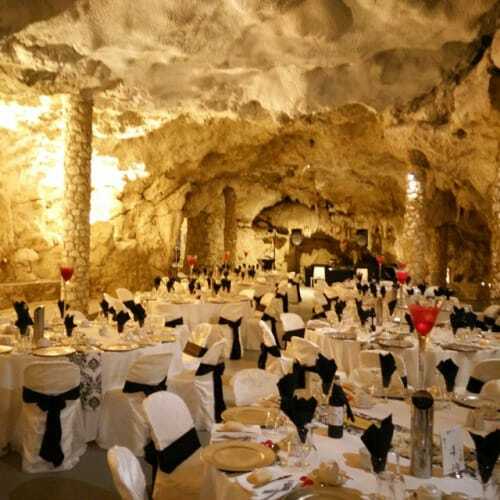 For a ceremony that will be truly memorable, why not hold your Ceremony at Perth’s only cave for hire. Nightcruiser have been providing Wedding Guests Transport via Bus Hire with on board TV Monitor, Free Wi Fi and power music systems plus disco party lights to and from the Yanchep Inn and the famous Cabaret Cave for some time now. Relive the romance of yesteryear with your ceremony on the Verandah of the heritage listed Inn (no need to worry about the weather) or in the lead lighted Banquet Room.